One more fancy warbler for the Lower Mainland this winter! 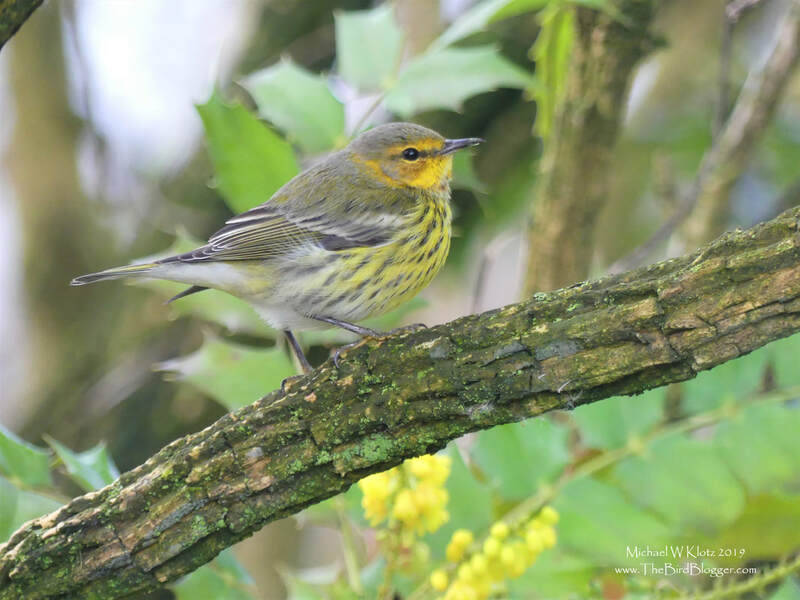 This Cape May Warbler has made Mill lake home for the time being where he has found a Mahonia blooming in the winter to keep his blood sugars up. I did not realize that this is the only warbler that has a tubular tongue suited to to do this. The small patch of the flowering plant was being closely guarded by our winter visitor for any intruding hummingbirds thinking they would be able to take advantage of the winter flowers. With a quick flurry of wings and a snap, the warbler was chasing away would be nectar thieves.